For those not invested in the history of independent film, a film like Widows could be nearly inexplicable. It is, at its core, an action heist thriller that shares tone with ’90s indie crime films like The Usual Suspects, Reservoir Dogs, or One False Move. In a reversal of the usual career trajectory, this is the feature follow-up to director Steve McQueen’s Oscar-winning drama masterpiece 12 Years a Slave (2013), which shares very little with Widows on a superficial level. The story follows the aftermath of a failed multimillion-dollar robbery that results in the deaths of all four members of a criminal crew. These deaths leave the perpetrators’ wives in a potentially fatal bind with a criminal organization, the Chicago machine, and all points in between. Led by Veronica (Viola Davis), the women seek to turn the tables rather than accept the demands put on them by crime lord Jamal Manning (Brian Tyree Henry) and politician Jack Mulligan (Colin Farrell). 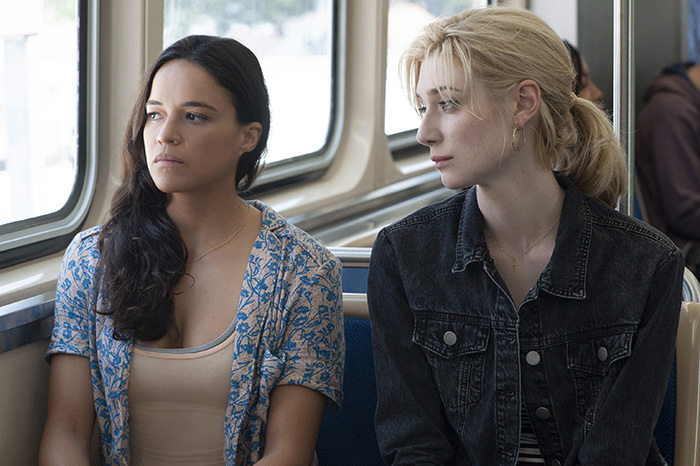 Since Linda (Michelle Rodriguez) and Alice (Elizabeth Debicki) were mostly ignorant of their husband’s activities beforehand, their transition to the criminal underworld is a bit clumsy. McQueen deftly balances the humor and terror as the team learns the lessons of operating outside of the law, laudably not turning this film into Ghostbusters (2016) or Ocean’s 8 (2018) in the process. 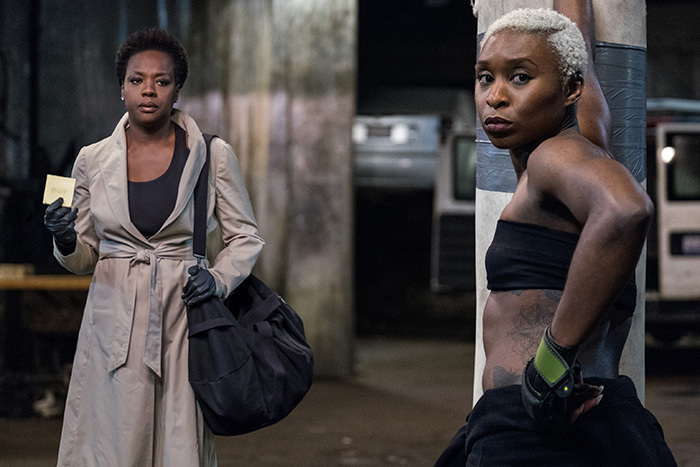 As the stakes increase, the widows connect the right dots and bring Belle (Cynthia Erivo) into their midst. Once the team is in place, they begin to develop their heist plans and unravel elements of the conspiracy that brought them together in the first place. 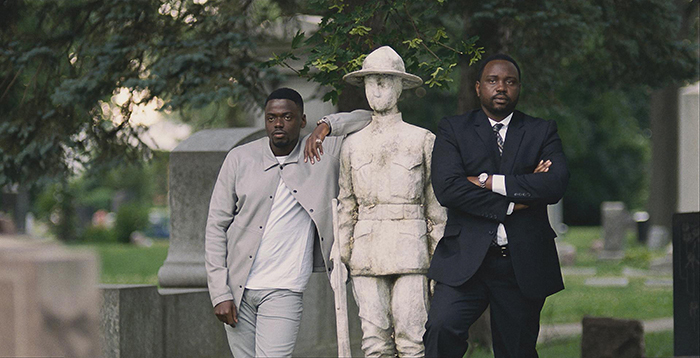 Widows brings an intelligence and depth to the heist genre that recalls the smart movies of the ’90s indie crime spree. Like the French New Wave that inspired that groundswell, it is more intent on decoding and unpacking the social milieu that makes life as a career criminal a viable option for otherwise reasonable people than anything else. This is, of course, a sublime approach for an era in which career criminals occupy the highest branches of the most “respectable” institutions. The genius of McQueen’s movie is that it places an intentional genre film solidly into an intersectional dialogue of race, gender, and class that will keep film writers and YouTube essayists occupied for years to come. This is one of the boldest moves an Oscar-wining filmmaker could make. This also presents certain problems. One of the trade-offs for making this a “woke” heist movie is that a little less screen time is spent on the meat and potatoes of making a crime film. 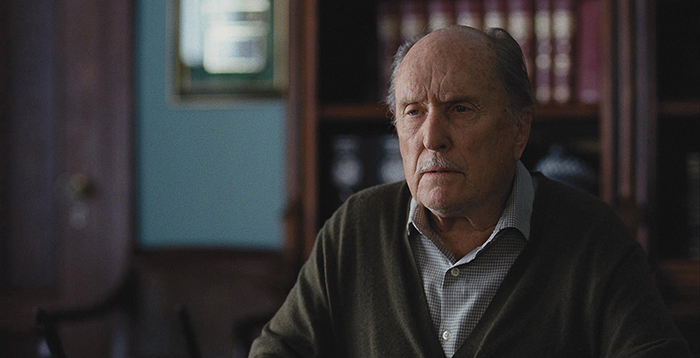 There are a few twists that are surprising within the logic of this particular screenplay, but fans of the genre will no doubt call them out from the first five minutes. Yes, it has a Keyser Söze moment, but the entire film hinges on this moment happening, so it sacrifices surprise to provide for a narrative resolution. 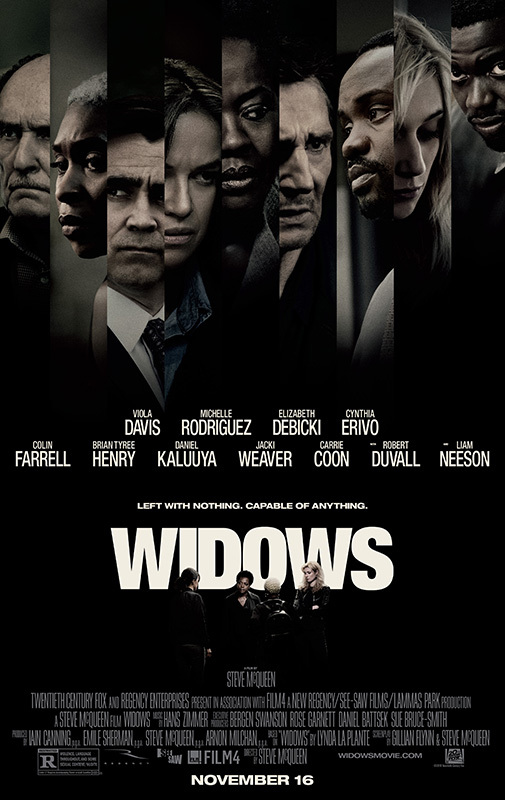 Possible that this is the real genius of Widows: Veronica’s reaction is inevitable, but the precedent for her reaction reaches far back into the depths of noir, skipping many decades of mainstream film in the process. In Widows, we get the hard-boiled attitude and the totally earned emotional sting. In total, Widows may be disappointing to filmgoers looking for a purely escapist genre exercise—it deliberately thwarts and sets itself in contrast with many of the expectations of a plot-driven crime thriller. By doing so, however, it offers something original that entertains on levels beyond the obvious and explicit, a pleasure that is a luxury item for most 2018 theater-going audiences. As character supersedes plot, as development outpaces action, you may find yourself enjoying a movie totally different than the one you thought you bought tickets for. T. A. Wardrope writes critical essays and short fiction for a variety of outlets. His novel, Arcadian Gates, is published by Blastgun Books.